Lou is in the middle of a quarter-life crisis. Ever since college, she’s lacked direction, working as a clerk in a local bookstore. But when she quits her job just before the winter holidays, Lou must do some serious soul searching to overcome her fears of straying from the mainstream. On a whim, she accompanies her best friend, Tammy, to Scotland for the winter holidays, but the vacation soon turns into an emotional roller coaster. 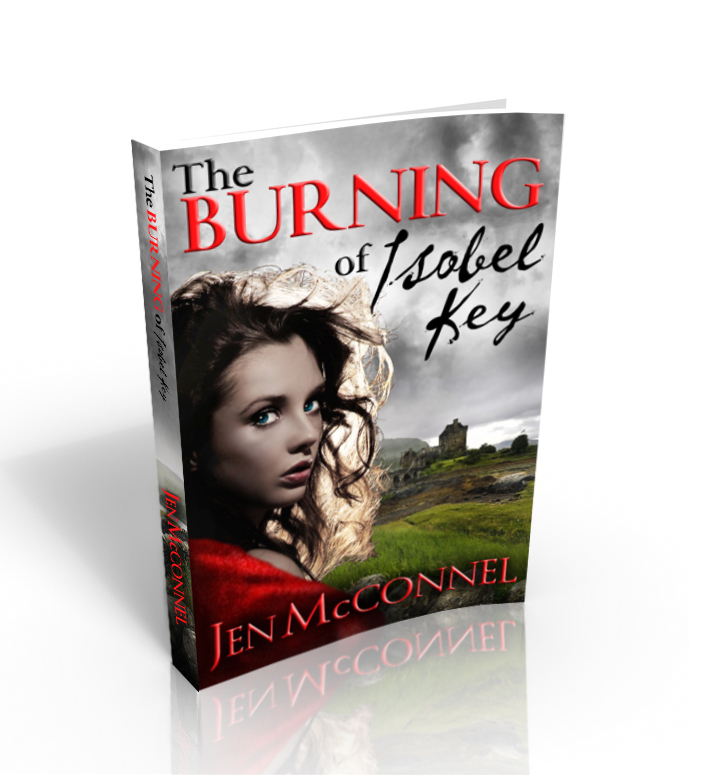 McConnel interweaves Lou’s modern day narrative of frustration as she deals with her own stalled life into Isobel’s story as she battles fear, ignorance and bigotry in the 1600’s. The alternating chapters echo one another brilliantly as the story unfolds in all it’s complexity. These are real characters, with real faults and real needs. The sections pertaining to Isobel were undoubtedly my favorite, rich in context and detail. Truly engrossing historical novels are not always easy to pull off and McConnel gracefully takes you from the modern day Scottish Highlands with engaging descriptions to the all too real horrors of the 17th century with ease. But for all its history and romance and mystery, the best thing about this book is that the plot itself is a genuine surprise. In this day and age of paranormal everything I guessed different possible endings, made assumptions about how Isobel and Lou were connected and what “startling discovery” she would make about her “own heritage” and I was wrong each time. I won’t ruin it for anyone and it is indeed startling but also, touching, beautiful and completely unexpected. I left the book feeling moved and while satisfied, wishing that I could join Lou on the next leg of her journey of discovery. Thanks to Jen for letting me get a sneak peek at Lou and Isobel’s story! If you want to read it – go here! Next up…Jen tagged me in the First Look Challenge and well, when you’re tagged, you’re IT.